Every mom likes to have personalized jewelry. Birthstone jewelry is nice, but it can become costly, especially if you have more than one child. 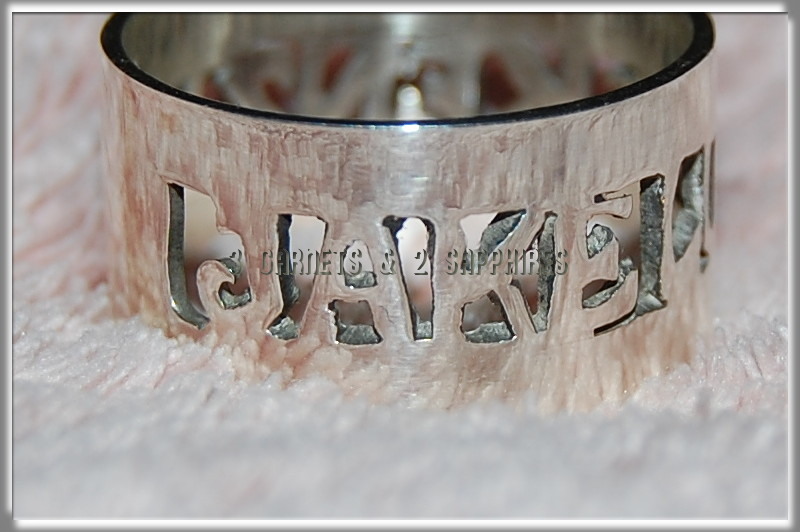 WOW Imports offers a wide selection of affordable personalized jewelry, such as this silver name ring. 1) I think this ring is perfect for someone like me who does not like to wear a lot of sparkle. It is simple, but unique because it is personalized just for me. 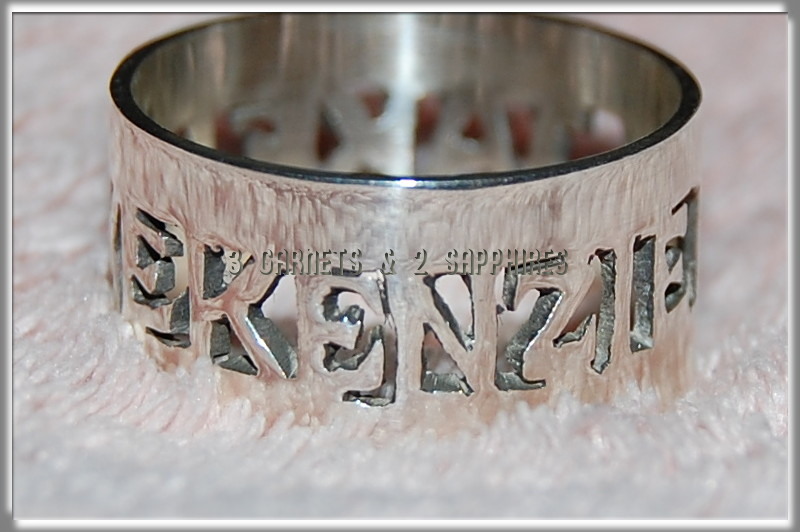 2) I very much liked that I had a choice of widths for the ring . . . 6mm, 8mm, or 10mm. 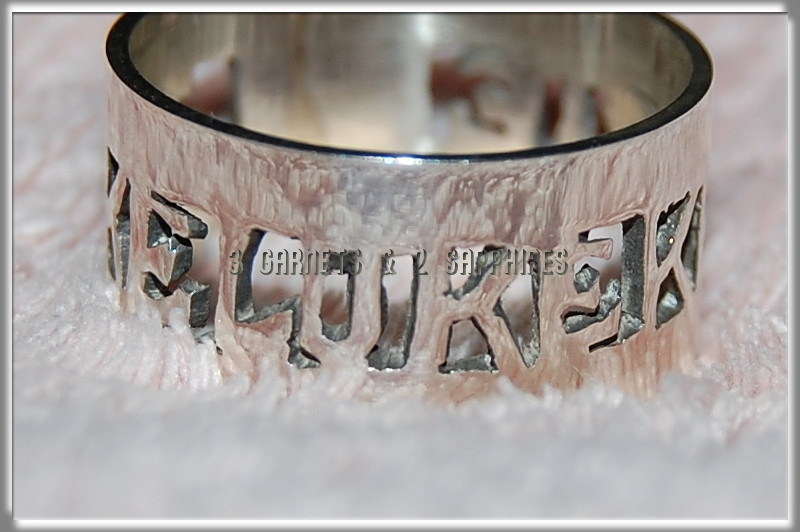 I chose the 10mm because it has been a long time since I've worn a cigar band style ring. 3) Although it took some getting use to wearing a wide-band ring again, this ring is comfortable with no sharp edges. 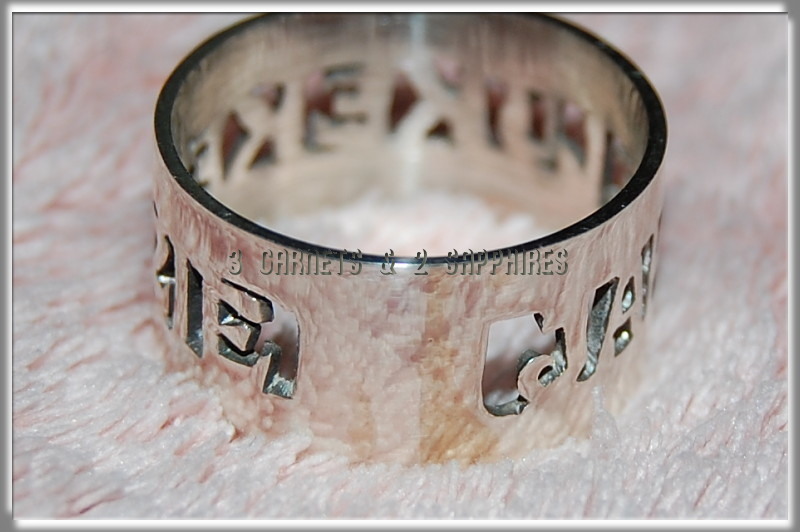 4) The ring is polished well and arrived inside a satin gift pouch. 5) Since I had a little room to spare because my children's names came under 16 characters, I think the names would be easier to read if there was a space left in between the 3 names. If you are looking for a special gift that won't break the bank, this ring sells for just $29, with a small charge if you go wider than 6mm. 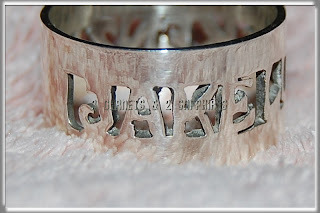 There are not too many pieces of jewelry that can visibly fit all my children's names. I am thrilled that I can wear this ring every day instead of having to wait for a special occasion to show it off, as I would with a multi-gemstone ring. 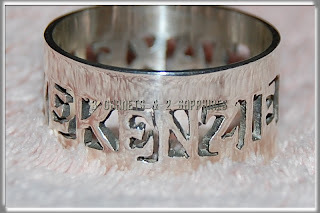 PLEASE NOTE: The deadline for ordering personalized jewelry in time for Christmas delivery with Standard Shipping is December 5th, 2009. WOW Imports has offered my reader an additional discount off their already low prices. You can save an additional 5% off your order when you checkout with Code: garnet5. Also, there is Free Standard Shipping on all U.S. orders of jewelry items and for orders of non-jewelry items over $50. Thank you to WOW Imports for providing us with a review product free of charge.